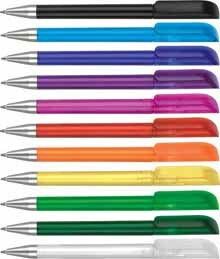 Promotional pens can be an effective marketing tool for any business. Unfortunately, this fact is often overlooked by many businesses as they opt for more complex marketing strategies. One reason for this is that the ballpoint as a marketing tool has been around for decades and, might be considered one of the marketing strategies that are becoming obsolete. The truth is that the ballpoint as a promotional item is still as effective at passing the desired message to your targeted audience today as it was years ago. What are the advantages of using promotional pens? Most advertising materials only serve one purpose, to send the intended message to the targeted audience. The ballpoint on the other hand goes a step further. It serves as a writing aid for its owner. What this means is that it plays a major role in the pre sale process. Potential clients are likely to trust and buy from your business if you give them something useful and free. In addition, existing clients are likely to remain loyal to your business if you give them free promotional material that helps them on a daily basis. A pen is one of the essential accessories that people use on a daily basis. A ballpoint that carries your brand’s advertising can have a major impact on the overall advertising campaign. The targeted audience is exposed to your advertising message every time they use your pen. This makes them more likely to use your business’ services and products once the need arises. 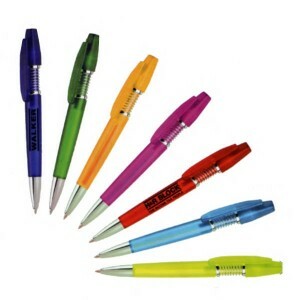 Promotional ballpoints are an excellent way of building your brand image. Many of the companies offering them for sale offer customization services. What this means is that you can create unique and attractive pens which can be identified with your business’ brand and image. In addition to this, the ballpoint’s user will love using a writing tool that’s unique and branded. The ballpoint’s life cycle is generally a couple of months. This means that your targeted audience will be exposed to your business’ advertising message everyday for months. You don’t have to invest in other advertising campaigns during this period. This is one of the cheapest marketing strategies with a good return on investment. Majority of the companies selling these pens charge low rates to manufacture ballpoints that are printed with your business’ advertising message. Bulk orders are even cheaper. This means that buying hundreds of promotional pens for for distribution among your targeted audience can see your advertising message passed to hundreds of people at very low rates.